An innovator. A tastemaker. A true legend. 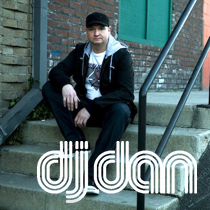 DJ Dan continues to bring the funk to everything he does from his label to his tracks to his live sets. His extensive musical knowledge creates a soundscape that connects the past, the present and the future unlike any other artist in today's scene. Recently voted one of the best DJ’s in Los Angeles by LA Times. His label, InStereo Recordings, has been one of the Top 10 best selling House labels for 2 years in a row (based on sales). With renowned tracks like “Needle Damage”, and remixes for everyone from Depeche Mode to Duck Sauce, Dan has released several "Top 10 House” tracks on labels such as Toolroom, InStereo, Pacha, Ultra, Guesthouse and is currently one of the highest selling artists on Beatport. He has continued to exhibit his DJ’ing prowess with performances such as his EDC 2014 set, rated one of the best sets of the weekend byDJOYBEAT.com as well as Magnetic Mag. 'DJ Dan & Friends' hit #1 for Beatport album sales in the first week of release and the album single “That Sound” hit #1 on the Beatport House Chart and in Top 5 Overall. Colette has evolved into a seasoned songwriter and producer, never far from the DJ decks, perpetually on tour spinning crowd-pleasing and party rocking sets. She was recently voted one of the best DJ’s in Los Angeles by LA Times. Her love and devotion to the authentic house sound of hometown Chicago can be heard in every set, and generations of diehard fans never fail to appreciate it. Colette's album 'Hypnotized' was the most downloaded House dance album on iTunes (June 2005) featuring the singles “What Will She Do For Love”, “Didn’t Mean To Turn You On” and “Feelin’ Hypnotized”. Billboard named her 2013 album "When The Music's Loud" one of the top 20 albums of the year. Colette has another album in the works, due for release in late 2016 on her label Candy Talk Records, showcasing some of her best loved tracks and reworked gems. ​DJ Heather has grown to become one of the Windy City’s main Dj exports, widely regarded as one of the premier selectors in the nation. She was named one of Chicago’s Top Forty-Five Artists alongside Kanye West, Billy Corgan and Green Velvet. She received rave reviews for her instalment 'Fabric 21' to the much heralded Fabric CD series, for the club of the same name and toured extensively for subsequent projects with Om Records including Summer Sessions 2 mixed by Om family members DJ Heather and Onionz and the House of OM double disc release with Colette. Her new label with Lil' Mark, Apollo Music Group, kicked off this year with “Driving”, a track produced by Dirty Sole (Classic, Robsoul) featuring their Chicago comrade, DJ Heather (20:20 Vision, OM, Seasons) on vocals. Charles Feelgood's rise to dance music infamy dates back to his humble beginnings as a leading force behind the Baltimore/Washington DC dance music scene. His initial popularity was assisted thanks in part to his legendary mixed series, "Time to Get Ill" and has continued to flourish through the release of remixes and singles such as “Jacker's Anthem,” “My Life” and “Watchu Gonna Do”. He is a mainstay in the charts on BeatPort and Traxsource as well as other worldwide digital sites. In the past few years Feelgood has had several releases on Major and Independent labels such as, Instereo, Guesthouse, Moonshine, Fogbank and Ammo Recordings - with a breakout track called "Bebop" that stayed in the Beatport and Traxsource charts for most of 2014. 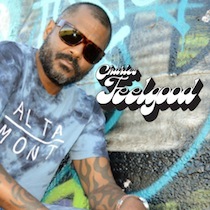 Feelgood remains committed to lighting up dance floors around the world – summing up his musical mission in one sentence: "I just want to do what the name implies, to make people have a good time and go home with a great feeling”. 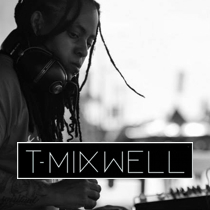 T. Mixwell offers dance floors unconventional concoctions of House, Techno, and Minimal; all stirred into one big melting pot of edgy banging fun. When she's not on the road travelling across the globe, you'll find T. Mixwell (Beat Thesis) regularly spinning up the finest in House & Techno on MyHouseYourHouse & Sugar Shack Recordings. When in Chicago, she holds down her "SPORK!" 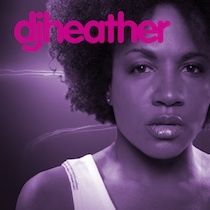 residency and regular 'Shimmy' nights with DJ Heather. 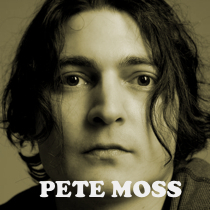 Philadelphia based Pete Moss knows a thing or two about house music having traveled the world in search of the ultimate underground dance floors, and releasing over 150 projects on top labels such as, Ovum, Dessous, ALola, Definity, Large, Seamless, I records, MN2's, Acryl and dozens of others, including his own underground Recline imprint. Known as one of the finest late night/underground Dj's on the map, crushing it at Fabric London, La Terrazza Barcelona, Roxy Prague, Salon Daome Montreal, Harlot San Francisco, King King L.A, The Arches GLasgow, La Santanera PDC Mexico, Rioma Mexico City, Smartbar Chicago, Living Room Miami, among others, Pete has a reputation for giving his all at every gig and leaving people touched and inspired by his signature deep and eclectic sound. 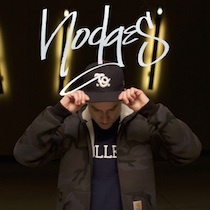 ​Canadian born Jason Hodges has become known for his blend of hard-hitting beats with deep grooves. He's remixed and co-produced with some of the world's best talents, remixing artists like, Kaskade on OM, Jully Black, Justin Timberlake, DJ Colette, DJ Heather, Derrick Carter, Cosy Creatures, MMF, Diz and Bear Who? Jason has also developed a new music project, Border Patrol (Hodges and Chuck Daniels), a production duo combining the sounds of Detroit and Toronto. Look out for more new releases coming soon. A classically trained musician as well as practicing yogi, Miles Maeda brings a unique perspective and approach to his music. On the outside, his style is a well balanced blend of Chicago house. On the inside, it is crafted with an intricate variety of influences which have become his trademark. 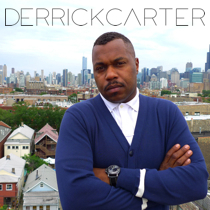 Living in Chicago in the early 90's, he worked alongside his fellow nu-ravers Derrick Carter, Mark Farina and Spencer Kincey as a purveyor of new electronic dance music. He held residencies at Smartbar, Berlin as well as the legendary Shelter. Miles is currently residing in Tokyo, continuing the development of his yoga projects and running his monthly party ZenDaze at Bonobo, Harajuku. ​© 2019 Apt Entertainment Inc. - All Rights Reserved.